Neptune Society seems to be an established long-term service and I’ve had nothing but a prompt decision to courteous service. We’ve been members over the last 20 years and I’m more than satisfied with them. I have it set up for my 93-year-old mother and I also recommended it for my aunt who passed in January. The manager, the woman who dealt with me in Reno, was really phenomenal. She was really helpful, compassionate and very efficient. My sister in law Debi Newton passed recently. Edward Rodriguez Jr. handled everything professionally and compassionately. He was extremely helpful and made us feel more at ease. Thank you so much for everything Edward. We will always be grateful. The support and efficiency of the Reno office staff were sincerely appreciated during this emotional and stressful event. Their experience and guidance through the process enabled our family to understand and complete the required actions in a timely manner. They have also provided ongoing emotional support opportunities. Thank You. We worked with Cheryl Wagner when my mother in law passed away. She was very helpful, understanding and was able to make the entire process simple, straight forward and she was very accommodating. We truly appreciated all the time and effort she provided to help us through a very difficult period. We would highly recommend using their services as they were wonderful to us. My mom made her plans with Neptune Society in 2006 and passed away in 2019. They made the experience easy for our family and treated mom with dignity and respect and the family with compassion and kindness. I cannot say enough about the Las Vegas Del Webb Blvd. office. Everyone was so nice. Tisha is a Godsend. Thank you from the Leona Neelon family. When my husband’s brother passed away recently and unexpectedly, the task of making arrangements fell to him as the eldest in the family. We had never been to his brothers home in Pahrump, Nevada and were not familiar with his brother’s lifestyle or financial situation. We just dug in trying to organize his papers, clean up his slight hoarder home and make arrangements for his cremation—all in an unfamiliar town and state. Costs were piling up and we were getting very stressed. The coroner arranged to have his brother’s remains sent to a funeral home and we arrived for an appointment with them to find out we’d need to come up with at least another $1500 for the cremation. My husband happened to be going through his brother’s wallet in the parking lot of the funeral home and he came across a card for the Neptune Society. It had a client number on it, so I said, “well let’s call them!” Sure enough, his brother had the foresight to join the Neptune Society and had prepaid for all his funeral expenses! What an incredible relief that was at a very stressful time! We spoke to someone in the Las Vegas office and they could not have been more helpful. They literally took all of the worries and stress out of this part of our tasks related to his brother’s cremation and the expense that goes along with it. We eventually worked with Cheryl Wagner, who also was a godsend and expertly dealt with all our issues in a kind and thoughtful way. Everyone we talked to from Neptune was professional and efficient in their duties. I can honestly say, there is no more thoughtful gift you can leave your relatives than full membership in the Neptune Society. Katrina at the Neptune Society in Reno, Nevada, was heaven sent. Her concern, caring, attention to detail, patience, understanding were and are remarkable. If I ever have to go through anything like this I would want her by my side. Please accept my thanks for helping me at the time of my mother’s death. Dorothy Griffen had pre-arrangement with your organization, and Katrina was an exceptional representative. She was kind, professional, efficient, and knowledgeable. Her sincere approach with me, a stranger, was reassuring and comforting. On the morning of my mother’s death, the respectful care with which her body was removed from the hospital and placed into the ambulance was also exceptional. Every effort was made to respect the death experience, including care for me as I accompanied her body to the vehicle. When things settle down, I will contact your organization to make my own pre-arrangements. Thank you for helping me through a sad and lonely time. When you find yourself in this unbelievable time, you really have no idea where to turn. I thank God for what Neptune did and are still doing, even a month later, to help us cope, function, and plan. Cheryl had such respect for my dad! She never rushed or talked downed to him. Cheryl made me feel like she was helping her good friends. Cheryl was the absolute best! An angel, she has the gift of compassion, love, kindness, knowledge, and friendliness. What an asset to Neptune. Neptune really has great people that make the best out of the worst. Thank you for getting us thru it. Sara ** was very helpful when we were planning and making arrangements for my brother’s remains. I appreciate her making it easier at a difficult time. She and others in the office answered questions and gave us directions since we were from Texas we did not know where to go to take care of my brother’s things. They went beyond just doing their jobs. We appreciated all they did for us. Wonderful people caring and helpful. Thank you. How to put into words the service that was provided. Exceptional is the only word that comes to mind. Tisha has exceeded our expectations. The loss of my grandmother has been really hard. Tisha has made this process much easier. Understanding our pain and doing all she can to minimize it. Tisha, you are amazing! My family is forever grateful. May god bless you! In a the most difficult time in one’s life, to have to deal with the emotions of the death of a parent or a spouse, having all or most of the details taken care of in advance, in my case, even pre-paid, and helped by loving, professional, knowledgeable staff who can do most everything but take away your pain, this is The Best service in Any industry, as it should be. This company has been around for years, and I would like to think every company like this does just as good of a job, and they may, but I can only speak of my experience. We went with NS because of their long-standing reputation and we are glad we did. Thank you, NS. Sorry, this is late I have had so much to do but wanted you to know how much we appreciated all that you did for us. Please thank everyone involved with the passing of Donald H.
Tisha was amazing. She went through every step of what was going to happen and when it was going to happen. Tisha was very comforting and personal. If you are going through this experience, I would HIGHLY recommend Neptune Society. They made a saddening experience, so beautiful. I had a wonderful experience with Neptune Society. They dealt with everything and they saw to it anything I needed was taken care of. They made sure that I understood everything that I needed to be looking at and how I needed to do things and how things were gonna happen. And the transfer from Utah back to Las Vegas went really smooth. They saw to it I had my death certificates, and they helped me write the obituaries for two different states. We had everything pretty well set up because they seem to know exactly what we wanted and how we wanted it done. I really, really appreciate them. I was contacted by Ms. Beaulac when my brother passed. I had not spoken to my brother in many years and was surprised to be contacted about making his final arrangements. As I don’t live in Reno it required Ms. Beaulac and me to have several phone conversations. She was always professional, compassionate, knowledgeable, and friendly. She made a difficult time feel uncomplicated and trouble-free. I hope I am able to find a nearby Neptune branch when I am ready to make my own arrangements. Compassionate and capable. Straightforward service at (mostly) reasonable prices, especially compared to typical mortuaries. I met with Natisha DeGourville following the death of my husband. Trisha is incredibly compassionate and kind and made me feel comfortable right away. I am so appreciative of her caring manner and expertise. She made this most difficult time as gentle as it could be. Thank you, Tisha! I have received notices from Neptune Society in the mail and it wasn’t something that I thought I would ever be interested in. I threw it away until my husband passed away and he had already signed up for Neptune. So I thought, “Well, they did a bit of organization.” Everything has been wonderful. They’ve been very calm and patient. Also, they explained everything. What was going on, how it was gonna work. Everything’s taken care of and when the time comes with them, you don’t have to worry about any of it. I would definitely recommend them. Neptune Society was extremely helpful when my husband passed away. I was very grateful that we had contracted with them. They were very professional. I would recommend Neptune Society to everyone. My mom passed recently and thank goodness she had chosen Neptune to take her on her final trip. Since I lived out of state it was very difficult to deal with all the issues and problems that come with a sudden passing. Tamar at Reno was a hidden blessing. She was there for questions and requests and help make the whole process a bit easier. She let me know about things I should know but didn’t when it comes to the business side of things. I can never thank her enough. Tamar made a very difficult time, easier all around. I can only say Tamar was compassionate, kind and helpful. In a time that is as hard as it can get losing a person who you loved. Communication was key and she delivered all through the whole process. Thank You, Tamar. Thank you for all the help and comfort that was given to my family while we were going through the loss of Jerry. Neptune Society made a very difficult process durable. I was so impressed with how everything was handled for the passing of my husband. Sara McGovern provided exceptional service for our family. We sincerely appreciate how all of the details were taken care of for us. I was very satisfied with the services of the Neptune Society for my mother. Everyone was caring, courteous and compassionate and everything went smoothly, even though I was on the other side of the country. I have only my deepest appreciation for Ms. Sara for her being just the best in helping with my brother-law Robert Madsen. She knew that we were out of state and walked us thru all the steps and procedures. My husband and I are Neptune members and our son and daughter in law came to help us in Las Vegas so they have a very good idea what is in store when we pass away. Again thank you for all your compassion and assistance Ms. Sara, I am so glad you moved to Vegas. I only wish my experience with everyone else I had to deal with could go as well as dealing with the Reno Neptune Society. They were caring, efficient and handled the situation with kindness but also professionalism. At such a sad time, they made the necessity of their services easy. When my father died in 2007 my mom and I went over to Neptune Society because we knew that he had wanted to be cremated. Then she had already pre-paid her whole Neptune Society cremation and urn. I had a wonderful interaction with Neptune with my mother passing away this last March. Tisha was very, very helpful with handling my mom’s affairs. Any interaction we had with her was very positive. 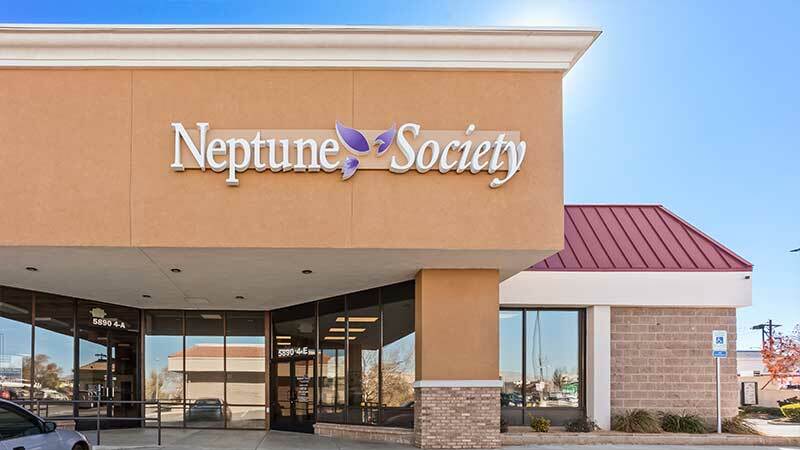 After mom passed in the hospital, we called Neptune Society and they took care of transporting her body. And then going and meeting with Tisha at the office a few days later, just to find out what the process needed to be and how many death certificates we needed and mom’s urn. So it was very easy for my brother and I. It was nice that we had only one contact person other than the individual who sits in the front, just as a receptionist, who was also very good, very friendly, and very professional. My mother had a finger on one of her hands that was kind of deformed from when she was a child and that was my favorite finger of hers, which sounds weird to say, but it was special. And so, I had asked them to make fingerprints or Tisha offered to have fingerprints taken. She had the fingerprint mailed to me. My mom passed away in Nevada and we live in Colorado and my brother is up in Washington State, and we had asked if Tisha could send some of mom’s ashes to us through the mail, just a small portion so that we could sprinkle them on Mother’s Day. She overnighted them and got them to us and was just very helpful. So overall, they were really exceptionally professional and compassionate to us in a time that we definitely needed that. My husband and I were planning our final arrangements and I had a friend who had used The Neptune Society and was impressed at how easy and complete the arrangements were. Yasmin ** was our representative and she was very thorough and knowledgeable. We found the experience very positive and were pleased with everything. Both of the times that I had to deal with Neptune Society were prearranged. I’m in California and they were in Las Vegas. So, we did everything over the phone. They were very nice and efficient. My father prearranged it and I like the convenience of having everything taken care of when it does happen. They made it very easy and comfortable. I was really happy with it. I had some problems with a different funeral home, and had to move my mother to Neptune. They worked with us and helped us with all the paperwork. They were very supportive and responsive and seemed like they went above and beyond to take care of our situation. It was a difficult time for us all, but their compassion helped tremendously. My mother has late stage dementia and could not remember anything about the funeral plans she purchased. 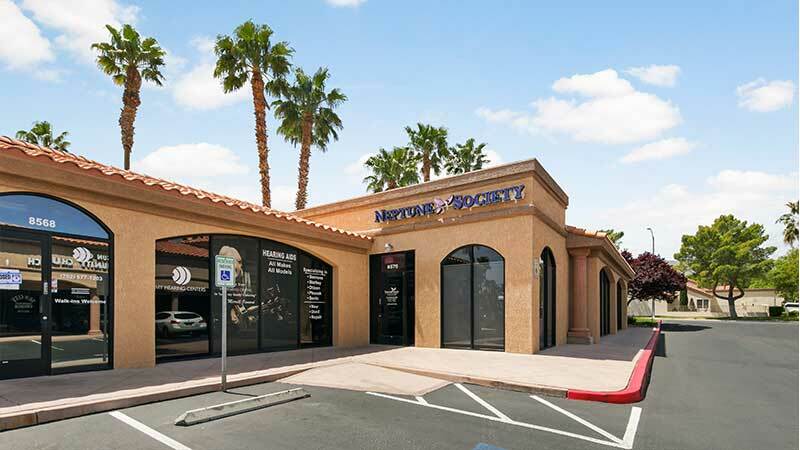 I remembered hearing about the Neptune Society in Las Vegas. I knew she lived in Summerlin so I called the Neptune Society nearest to there on Del Webb Blvd. Anna M. answered the phone and proceeded to go above and beyond trying to find the info I needed. She was very professional and courteous and was able to track down the service my mother purchased 17 years ago even though it was at another funeral home. I live in Northern California. She promised me she would email me the information and she did what she said she would do. Very grateful! At the Most difficult time the Neptune Society made Our visit comforting and very professional. My Mom took care of her funeral expenses and wishes on her own years ago. So when she passed, we didn’t have to worry about doing it.. When she did finally pass. All we had to do was call them.. We called The Neptune Society the next day and made an appointment to sign Paperwork..My husband and My Brothers met with Karin .. She was so Comforting and explained to us what would be happening. We were given the option of purchasing additional Beautiful Urns and pendants etc. When We left. We all agreed Our visit was Great even tho we felt so sad about Our Mom’s passing. It was Memorial Day weekend so Karin told us it would take a little longer. I dreaded that day I would have to go back. I got the call and took the drive by myself . Again I met with Karin. The Most caring Beautiful Person. She comforted me with her kind words.. I will never forget her..Thank You Karin, You touched My Heart. I have to say the Neptune Society was a blessing for my family when my parents passed on. My dad died 5 years ago and my mom passed 2 months ago. They both had signed up with their prepaid plan. All we had to do was make one call when it was their time and everything was taken care of for us. The Neptune Society did everything down to arranging pickup, ashes and death certificates. During such difficult times, I am very grateful that my parents make it so easy for us to carry out their wishes. Click for a list of items and services that may be included in a Nevada funeral service. 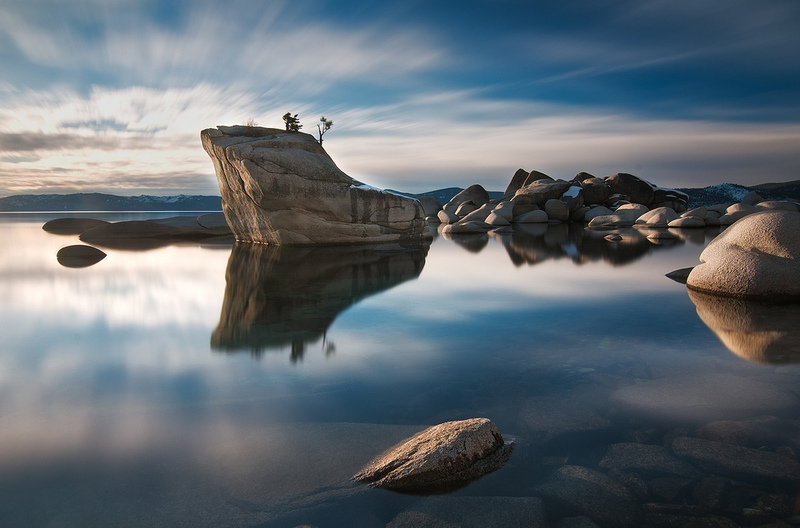 Bonsai Rock, in East Lake Tahoe, is a landmark south of Sand Harbor. It’s a picturesque and rocky sight with 4 small bonsai trees. For lovers of a nature, this is a perfect place to hold a scattering for your loved one. The spot is unique and beautiful. It’s not a far walk from the main road, but it can be tricky to find. Go with close friends and family for a memorable day. 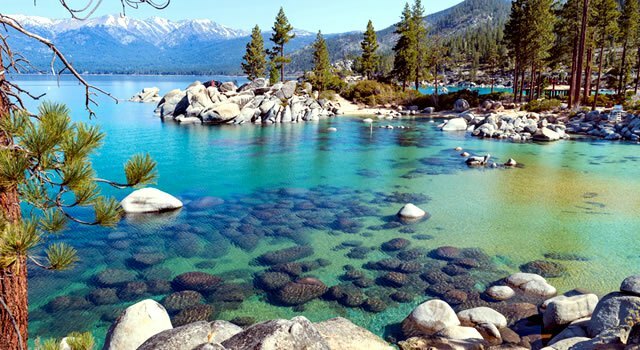 A very popular spot for scatterings is Lake Tahoe, a large freshwater lake on the border between Nevada and California. Scattering is permitted, but only on the Nevada side of the lake. California still prohibits spreading ashes from piers and bridges into lakes, but Nevada residents are allowed to scatter ashes who any public waterway. Call ahead to let them know you are coming, and find a special spot on the like to spread your loved one’s ashes. Tonopah can be a truly mesmerizing place to for a scattering. It is home of the best stargazing in the whole country, and has mapped out “Star Trails” from which you can see 7,000 stars. 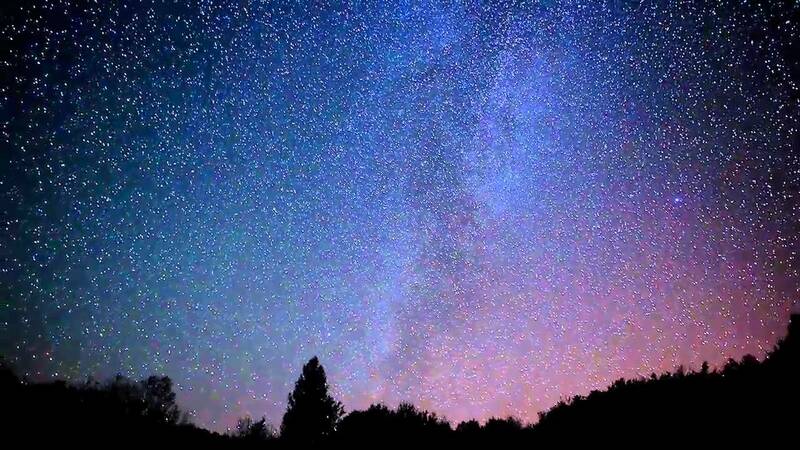 Under a shining sky, these Star Trails are a popular destination for scattering ashes. Many people want to have their own, or their loved ones’, ashes scattered on the Las Vegas Strip. It’s such a bustling and vibrant area full of life, and people often choose this is a place to say goodbye. 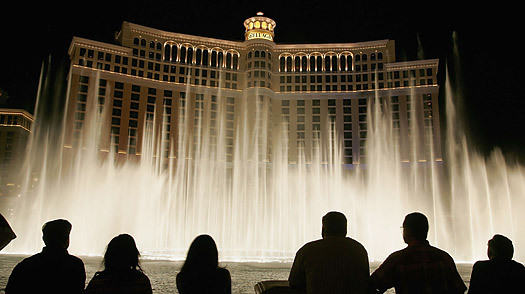 Popular locations include the Hotel Bellagio’s fountain and the Flamingo Hotel’s Wedding Garden. Nevada law allows you to scatter ashes over uninhabited public land with permission/a permit, over a public waterway or sea, or on private property of a consenting owner. If scattering at sea you must be at least 3 nautical miles from land, notify the EPA within 30 days of scattering, and avoid beaches and wading pools. You must obtain a permit to scatter on federal land. You can also scatter the ashes, but NOT the container, from the air as the government doesn’t consider cremains to be hazardous material. If the container isn’t biodegradable you must remove the ashes from the container before scattering. What happens if you can't afford funeral services for you or your loved on in the state of Nevada? Although state funeral and burial assistance is in decline, there are available resources. To qualify for the Nevada Indigent Burial and Cremation program, the deceased must have to estate from which to pay for a funeral, no family who can afford a service, and be ineligible for assistance from the Social Security or Veterans administration. If these criteria are met, the Public Administrator, or Indigent Burial Officer of the state, pays for a direct cremation of the deceased (the least expensive method). This is why it’s so important to pre-plan. What veterans benefits are available in Nevada? How many funeral homes are there in Nevada? There are 46 funeral homes in 20 cities of Nevada. Bonus fact 1: The oldest skeletons of early men ever found in the US were found in Hidden Cave in 1949. Bonus fact 2: Over 40 million people visit Las Vegas every year. Bonus fact 3: Virginia City, NV is said to be the most haunted town in the US. Bonus fact 4: Betty Willis, designer of the iconic Welcome to Las Vegas sign, never trademarked it. She called it her “gift to the city”. Bonus fact 5: Nevada is the driest state in the US. The Vegas Voice- a monthly newspaper that focuses on issues, interests, and concerns that affect the 50+ generation!